Americans are bound together by their love of freedom, and religion is no exception. The Exchange Club of Norwalk will be holding a One Nation Under God prayer breakfast, at 7:30 a.m. Wednesday (11/26/14) at the Norwalk Inn and Conference Center located at 99 East Avenue in Norwalk. 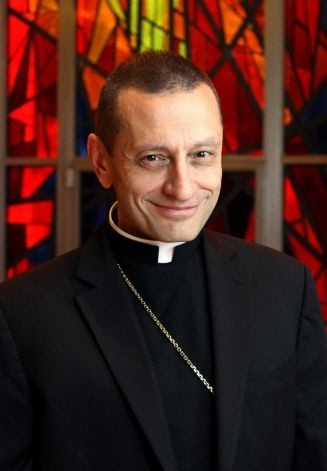 Our guest speaker will be the Most Reverend Frank J. Caggiano, the Bishop of Diocese of Bridgeport. The Exchange Club of Norwalk, along with nearly 800 other Exchange Clubs across the nation, will be recognizing November as One Nation Under God Month. The national program, One Nation Under God, was created to help promote that America is truly "One Nation Under God." As a nation, citizens should be deeply conscious of the importance of our religious freedom in the nation's heritage and future. Members are free, guests pay $30.00. For more information on the breakfast, contact Tim Oman, club president at 203-852-1800 or visit the web site at www.exchangeclub.com.